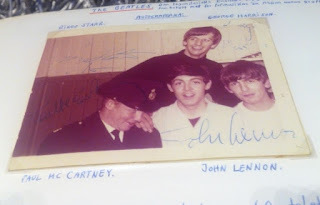 I found this photo online on a site about Beatles autographs. They were trying to decide if the autograph on this photo was real or not. I could care less about that---this is a great photo!